The other day I spent some time pouring through dozens, hundreds, of pictures as part of a small project I’m working on. They’re my photographs, pictures I’ve taken. My iPhoto library is getting a bit cramped, and I should probably do some paring down, or at least organization, before it becomes truly unmanageable. I suspect, however, like my numerous books shelves and desk drawers, I’ll just tidy it up a bit and slide things over. Looking at all these pictures, and easily recognizing which ones I like or what it was I was trying to capture at the moment (successful or not) started to put them in perspective for me. 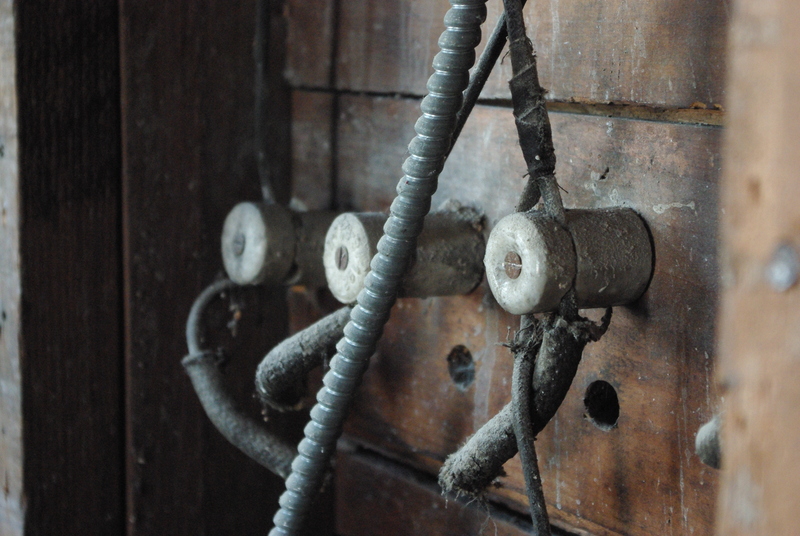 I tend to take pictures of things, rather than people, but I suspect that’s only out of convenience. Rarely am I taking a picture of something in action (unless it’s crashing waves) and often it’s everyday things or objects or settings, and only occasionally from some atypical perspective. It sounds a bit boring perhaps, but now I think I recognize it as an effort to capture the essence of a thing or of a moment; focusing on just part of something and recognizing the something that’s always there and never noticed. One thing this observation also made me realize is how this ties in to my tastes in plays and movies, and to some extent acting. I enjoy realism, and primarily naturalism when it comes to style. The delicacy of a fully realized, naturalistic acting-styled performance is mesmerizing in its intricacies. And such performance is typically applicable in straight drama, on stage and screen, which are also the kinds of things I lean toward. Who’s Afraid of Virginia Woolf? is my favorite play. I’m not sure what it is that made me see this realization. It may have been some of the work done (by me and others) in a play this summer, or it may have been my editing through a large series of family pictures taken by my grandfather and recognizing the qualities of the ones I’m drawn to. He didn’t work in the arts (he was a Chicago police officer and detective) but he was a bit of a shutterbug, and took many family photos and home movies. Some of his pictures had a real “capturing the moment” kind of quality, which I mostly attribute to chance even though I should probably give him more credit for composition. A couple of my favorite ones of his include a picture of my great-grandmother laughing hysterically while gathered with her three daughters, all of them in flowered print dresses, each of them the same size and shape like made from the same cookie cutter, all crammed together on a couch. It’s a moment of true joy captured forever, and perhaps made more powerful by the fact that none of the four women are still alive. 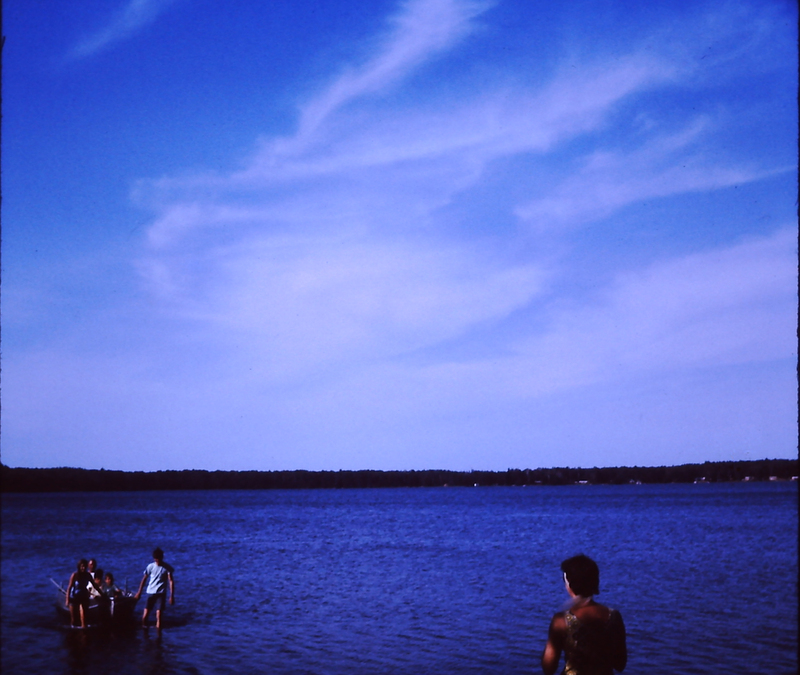 Another of my favorite are from a family vacation, about 40 years ago to a lake in central Minnesota, where he seemingly aimed to capture the entirety of the setting as it related to the activities of the subjects. Teenagers pulling a boat to shore (the lake was really low) while someone in the foreground watches from the dock, with the deep blue lake and sky, with its whispering clouds, spreading out above . I don’t think the skewed vision was just poor camera skills. Again, it’s a capturing of a moment, a perspective meant to look at the big picture, to take it all in. Nothing’s effected, it’s straight realism. And it’s composition and angle I truly appreciate. Of course, it could just be nostalgia.